Jorge Barón is an active figure in the national dialogue on immigration. Under his leadership, NWIRP has been active on multiple fronts in support of immigrant rights. The organization was at Seattle-Tacoma International Airport trying to stop a plane from leaving with foreigners denied entry by the Executive Order travel ban; in court, assisting a legal team representing a young man held at the Northwest Detention Center; and at numerous presentations where information critical for immigrants and their advocates is shared. Originally from Bogota, Colombia, Barón came to the United States at the age of 13 with his mother who was attending graduate school in Virginia. His father is a television producer in Colombia. As a child, Barón appeared numerous times on his father’s TV show and later on a Sunday kid’s program. A graduate of Duke University and Yale Law School, Barón joined NWIRP as a staff attorney for two years before becoming executive director in 2008. More than a decade later, in the throes of the nation’s post-election immigration debate, Washington state Attorney General Bob Ferguson has called Barón one of his “legal heroes” for his exemplary immigration work. NWIRP was founded in 1984 initially to help refugees from Central America. The group, which provides free or low-cost legal services, is the largest such organization in the West, with a budget of $6.5 million and a staff of 70. 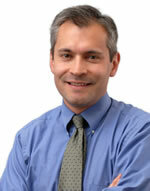 Jorge Barón, Executive Director of the Northwest Immigrant Rights Project, will be our speaker today. He will join us to discuss his organization, Northwest Immigrant Rights Project, and discuss their role with immigrants. He will also leave time to answer your questions.